Mark Robarts, a young vicar, is newly arrived in the village of Framley. With ambitions to further his career, he seeks connections in the county’s high society. He is soon preyed upon by a local member of parliament to guarantee a substantial loan, which Mark, in a moment of weakness, agrees to, even though he knows the man is a notorious debtor; it brings Mark to the brink of ruin. Meanwhile, Mark’s sister, Lucy, is deeply in love with Lord Lufton, the son of the lofty Lady Lufton. Lord Lufton has proposed, but Lady Lufton is against the marriage, preferring that her son choose the coldly beautiful Griselda Grantly. 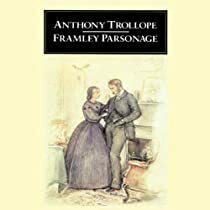 The novel concludes with four happy marriages, including one involving Doctor Thorne, the hero of the preceding book in the Chronicles of Barsetshire series.